West Ham manager Manuel Pellegrini oozed arrogance with his remarks about his relationship with the board and they could soon lead to some embarrassment for him. The Hammers boss who is yet to oversee his side picking up a point in the Premier League was asked how confident he was about his job status following his poor start. 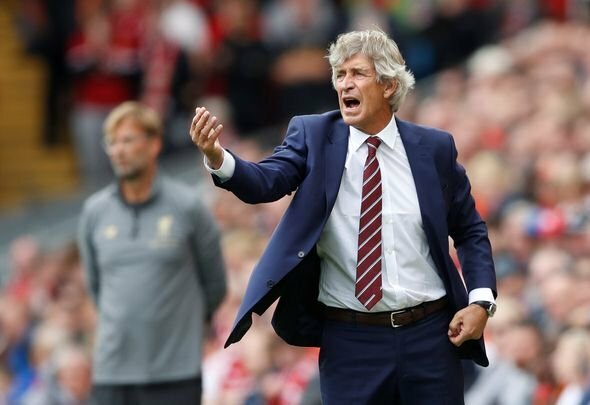 While Pellegrini was right to dispel any suggestion that his exit was near, he did it in the most arrogant fashion that if he is given the boot anytime soon than his remarks will end up causing him some embarrassment. The experienced manager claimed he knew how the Hammers’ board thought before heaping praise on them for how they are seeing out their long-term vision for the club. “I know the way they think, ” confidently confessed Pellegrini, as quoted by The Independent. “I have spoken with all of them before we started the project here and I always continue thinking the same way. “Maybe when you want to do so many changes it can be difficult but I think at West Ham, this is the correct way. Pellegrini, at least privately, should be a least little concerned about his position in the dugout at London Stadium as if his side lose to Everton on Sunday than he will set an unflattering record. No Hammers manager previously has lost their opening five league games but that will be the case if the Hammers slip to yet another defeat at Goodison Park. It wouldn’t be a surprise if Pellegrini was given his marching orders if the poor results continue and after confidently claiming he knew how the board think as well as praising them for how they run the club, his remarks could provide him with some embarrassment shortly. Especially as he wouldn’t have much of defence to put up for himself after implying the board know what they’re doing.